Going Mainstream: Neo4j and The Future of The Graph Database — The release of the Panama Papers shined a spotlight onto graph databases and Neo4j, one of the most popular graph database systems. Gorilla: Facebook's Fast In-Memory Time Series Database — A look at an academic paper digging into a in-memory time series database used by Facebook to rapidly process metrics on the site. Redis Labs and Samsung Collaborating on In-Memory Boost — The plan is to accelerate the processing and analysis of large in-memory datasets. Amazon RDS just got better with enhanced monitoring — Now you can monitor DB performance plus more than 50 new system-level metrics. 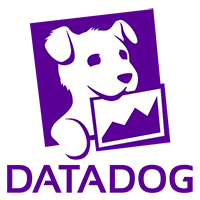 See it all with Datadog. Understanding Distributed Databases — A look at the concepts and algorithms involved when building distributed data storage systems. Hadoop Performance Troubleshooting with Stack Tracing, An Introduction — If I were going to read anything about Hadoop perf tuning, it’d probably be by someone at CERN! rqlite V3: Globally Replicating SQLite — rqlite v3.0 can now replicate SQLite on a global scale. This post shows a global rqlite cluster in action. mongo-query-to-postgres-jsonb: Converts MongoDB Queries to Postgresql Queries for JSONB Fields — Looking to move directly from Mongo over to Postgres? This project could help by automatically converting your queries from Mongo to using JSONB. Apache Kafka Gains Traction Among Enterprise Users — Appetite for stream processing and real-time data access is driving adoption. 5 Reasons to Review Your Disaster Recovery Plan Now — Database reliability is a process, not a one-time action. Here are five compelling reasons to review your DR plans now. SQL-on-Apache Hadoop: Choosing The Right Tool for The Right Job — A simple guide to understanding SQL-on-Hadoop choices.